Join Ed Sheeran, currently the most successful artist in the world, live from the London world premiere of his spectacular new concert film debut “Jumpers for Goalposts”. This special cinema event, including red carpet highlights, an exclusive live performance from Ed and the film shown in its entirety for the first time, will be beamed via satellite live from London’s Leicester Square to thousands of cinema screens around the world on Thursday October 22nd from 6PM BST. Fans can be part of the experience at simultaneous screenings across the UK; tickets for local participating cinemas will begin to go on sale from Thurs 24th September at www.edsheeranmovie.com. Check local listings for additional film screenings across that weekend. 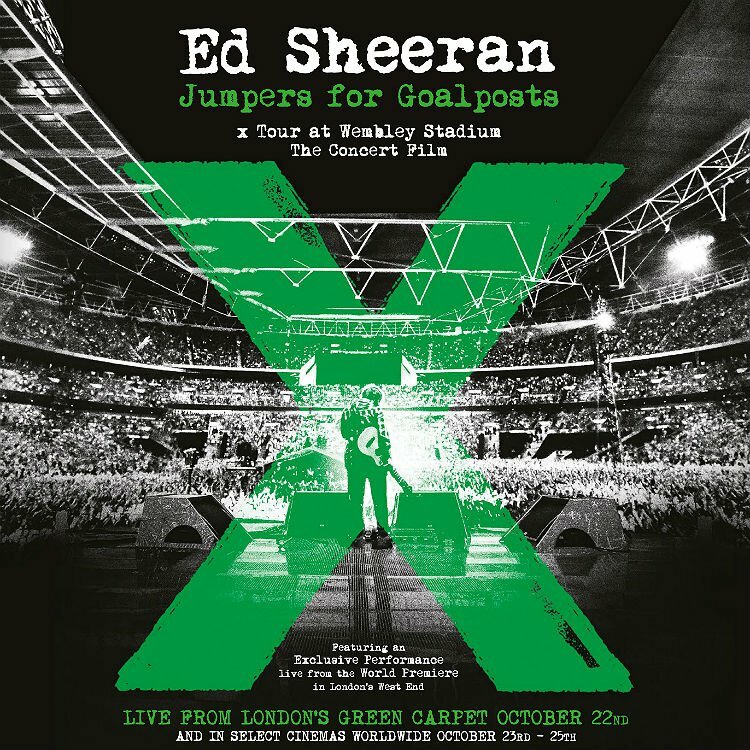 As well as his breath-taking onstage performance, Jumpers for Goalposts is intercut with the story of Ed’s triumphant road to Wembley, presenting a revealing and personal glimpse into life backstage and on the road, along with an honest and intimate reflection by Ed – and those closest to him – on just how far he has come. This special global cinema event is an invitation for Ed’s millions of fans to join him around the world and celebrate what he has achieved so far, before inevitably he moves the goalposts once again. For more information visit www.edsheeranmovie.com. Tickets for the screenings will go on sale from Thursday 24th September. Check the film website for specific and up-to-date release information in your country. Panic! at the Disco performs “Hallelujah” on Late Night with Seth Meyers. 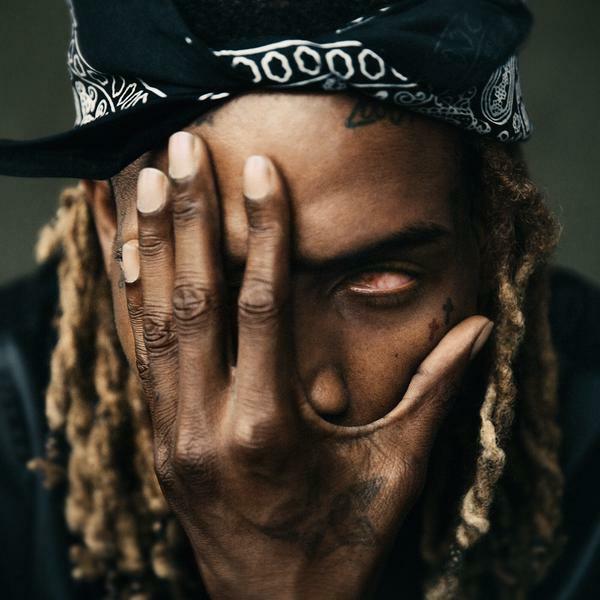 FETTY WAP smash-hit single TRAP QUEEN out now. The highly anticipated album officially arrives in stores and at all digital retailers on Friday, September 25, 2015 in both a 17-track standard format and 20-track deluxe edition. The New Jersey multiplatinum rapper continuously shows immense love for where he came from. Hip-hop’s hottest new superstar, Fetty Wap personally unveiled the cover of his self-titled full length debut, FETTY WAP on stage at the One Hell of a Nite Tour ’s New Jersey stop at PNC Bank Arts Center in Holmdel. In addition to revealing the cover exclusively for the NJ crowd, he will deliver a free concert for his high school, Eastside High—after which he received the key to the city from the mayor. It’s a busy time for Fetty Wap . He was up for two MTV Video Music Awards including “Artist To Watch” and “ Best Hip Hop Video” for his hit single, “Trap Queen . On the night he performed his hit single ‘Trap Queen’ and walked away with ‘Artist To Watch’ award. This month, Fetty made Billboard history, landing four songs in the Top 10 of the Hot Rap Songs Chart—namely “Again” at #8, “679” feat. Remy Boyz at #5, “My Way” feat. Monty at #3, and the ubiquitous “Trap Queen” at #2. This achievement solidified him as the “first artist in the chart’s 26year existence to chart his first four entries in the top 10 simultaneously.” The single ‘Trap Queen’ has remained in the Irish Top 30 singles chart for over 10 weeks now. He continues to both smash boundaries and break records. Fetty stands out as the “first artist since Eminem to land 3 songs in the Top 20 of the Billboard Hot 100” and the “first artist to take 3 spots on the Shazam Global 200 Chart . ” He’s rising equally quickly on Pandora where he’s reached over 27 million unique listeners in just 90 days with the “fastest rising number of stations.” “Trap Queen” recently earned a Triple-platinum certification from the RIAA for digital sales in excess of 3 million, and “679” went gold. He graced the cover of XXL as part of 2015’s prestigious “Freshmen Class” issue and received a BET Award nomination. He’s taken over television, performing at the MTV Movie Awards, on The Tonight Show Starring Jimmy Fallon with The Roots, Jimmy Kimmel LIVE , at the BET Awards , and more. Fetty Wap known for sharing his love about his ride or die chick on his breakout hit “Trap Queen,” his hustle never stops. Willie Maxwell II hails from New Jersey, like Redman and Joe Budden, calling home to a city called Paterson. The rapper explains it was difficult growing up there, specifically pointing out that “everybody is trying to make it out.” As he adjusts to the attention after blowing up from “Trap Queen” in 2014, his mission in hip-hop isn’t to become more famous, but to use his fortunes to help his community rise above their hardships. Fetty Wap’s profile rose when he earned co-signs from stars like Trey Songz, Rihanna and Kanye West. In February, Fetty Wap was the surprise guest for West’s Roc City Classic show. “I just turned up. That’s all I can remember,” he says. “I’m just mad appreciative. It’s just a big grateful, feeling that’s just one way of putting it.” Since then, Fetty Wap has been featured in Billboard, Complex and nominated for the 2015 XXL Freshman Class, a coveted list of the next wave of rap stars. He’s also used the bigger platform to introduce his crew Remy Boyz 1738, consisting of up-and-coming rappers Montana Buckz and P Dice. With his growing success, he isn’t letting his condition (his left eye was lost to congenital glaucoma when he was a child) get in the way of chasing his dreams. THE ALBUM IS ACCOMPANIED BY A FEATURE FILM DIRECTED BY ACCLAIMED PHOTOGRAPHER ROGER SARGENT, WHICH WILL BE RELEASED ON DVD AS PART OF A SPECIAL ALBUM PACKAGE. THE BAND WILL PREMIERE BOTH THE FILM AND THE ALBUM WITH TWO DATES AT LONDON’S ROUNDHOUSE ON NOVEMBER 13TH AND 14TH WHEN THEY PLAY THE ENTIRE ALBUM FROM START TO FINISH AGAINST THE BACKDROP OF THE FILM. THIS WILL BE THE GLOBAL PREMIERE OF BOTH FILM AND ALBUM. 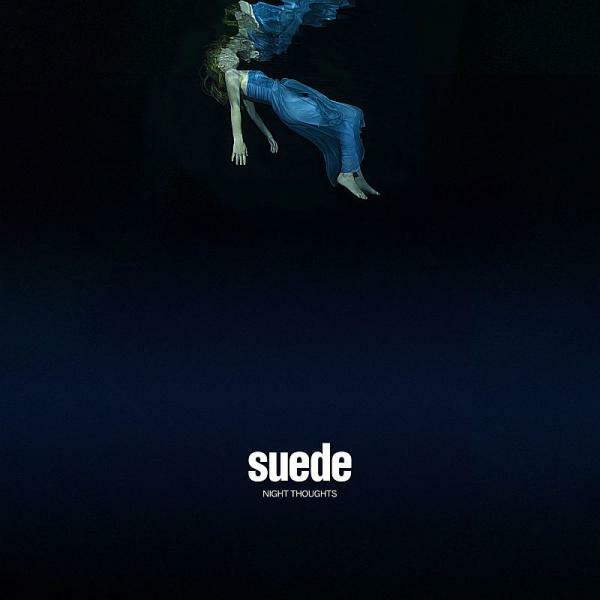 Suede will release their brand new studio album Night Thoughts on January 22nd . The album, which features a full string section, was produced by long-time Suede collaborator Ed Buller. It was recorded at SARM studios in London and ICP in Brussels. Night Thoughts, which also has an accompanying film directed by Roger Sargent, will be available as CD, CD+DVD, special edition CD/DVD hardback bookset and 180g double gatefold LP (+ download code). The album will be premiered in two performances at London’s Roundhouse on November 13 and 14 where the group will play the album in its entirety whilst the film is shown behind them. “Suede and I have crossed paths a few times over the years. I sneaked onstage for their ‘93 Glastonbury show to get photos for NME… more recently I was asked directly to do some of the photography for the last album. 2015 has already seen Suede receive the prestigious NME Godlike Genius Award as well as play a storming headline set at Glastonbury. Tickets for the Roundhouse shows will be available on presale from 09:00 Wednesday 9th September and on general sale from 09:00 Friday 11th September. ALL TVVINS NEW SINGLE ‘DARKEST OCEAN’ IS OUT NOW!! ALL TVVINS’ first two singles ‘Thank You’ and ‘Too Young To Live’ prompted glowing comparisons with the likes of Haim, Bloc Party and Editors. 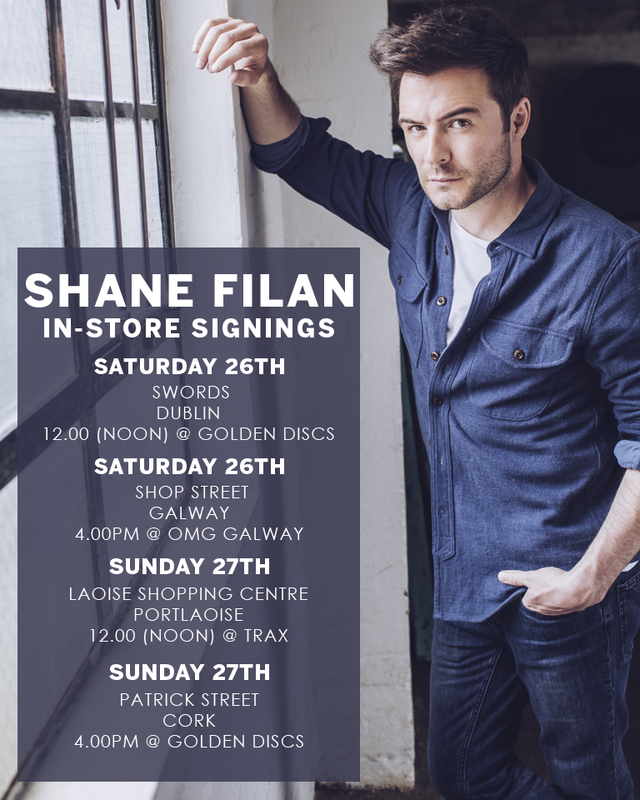 The Irish duo have now released the new track ‘Darkest Ocean’ and have also confirmed numerous live shows throughout the coming months. 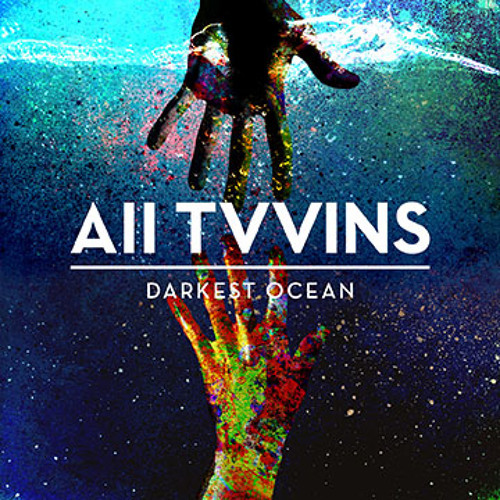 Produced by Matt Schwartz, ‘Darkest Ocean’ highlights ALL TVVINS’ strength in blending immediate pop hooks with driving, 80s-tinged percussion and alt-rock influences. ‘Darkest Ocean’ is available at iTunes and Spotify. ALL TVVINS consists of two multi-instrumentalists in the shape of Conor Adams (primarily vocals and bass) and Lar Kaye (guitars), who first met on the Dublin underground scene and started working together in the summer of 2013. Their collision of disparate influences results in a sound akin to a melting point of TV On The Radio’s art-pop twists with the leftfield psychedelic excursions of Animal Collective. Even just a snapshot of their songbook demonstrates an admirable disregard for conventional genre boundaries. Having previously supported Arcade Fire, The Pixies and Jungle, and earned the respect of new wave pioneers Blondie following a set at Electric Picnic, ALL TVVINS’ summer festival touring has already included Pukkelpop, Dot To Dot and Field Day, as well as the VICE house party.